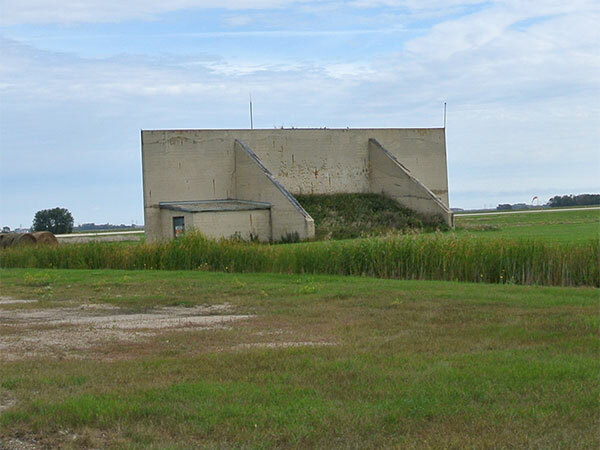 This facility south of Dauphin, in the Rural Municipality of Dauphin, was used for training of pilots during the Commonwealth Air Training Plan of the Second World War. 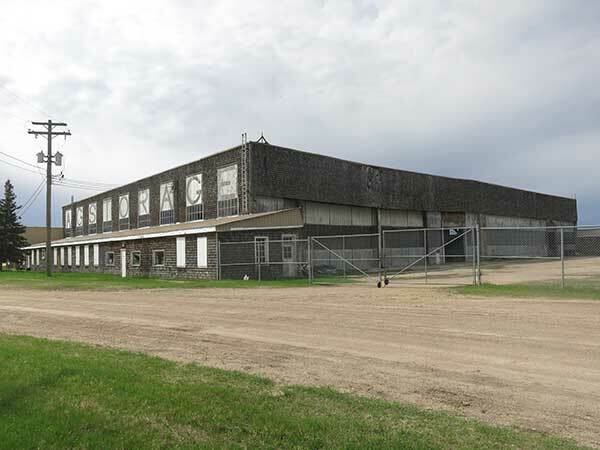 Buildings at this $1 million dollar site were erected by P. W. Graham & Sons of Moose Jaw, Saskatchewan at a cost of $337,214, with plumbing tendered to F. W. Bumstead of Dauphin for $50,000. The school first opened to airmen on 5 March 1941, with an official ceremony later taking place on 15 April 1941. 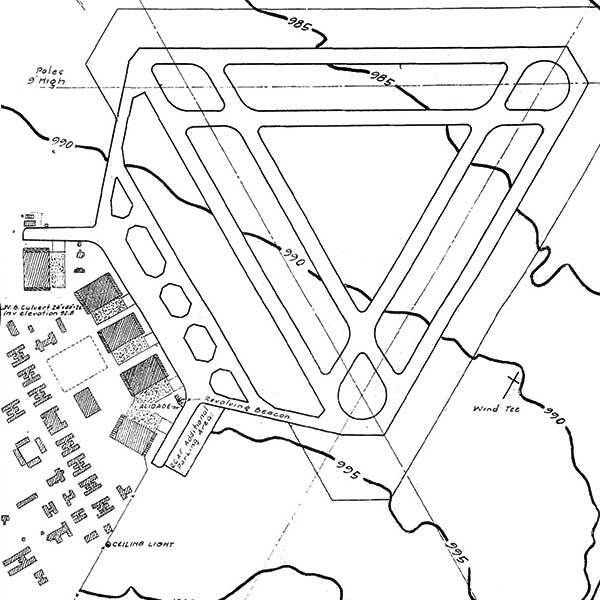 The base had two relief fields, located northwest of Dauphin, where pilots unable to land here could go. “Contract let for Dauphin Flying School,” Winnipeg Free Press, 24 August 1940, page 1. “Dauphin Air School under construction,” Winnipeg Free Press, 4 October 1940, page 6. “Dauphin’s honor,” Winnipeg Free Press, 12 February 1941, page 3. “Dauphin Flying School prepares for opening,” Winnipeg Tribune, 14 February 1941, page 2. “Moncrieff gets Dauphin post,” Winnipeg Free Press, 21 February 1941, page 12. “Flying School ready at Dauphin,” Winnipeg Free Press, 1 March 1941 page 16. “Students arrive at new Dauphin R.C.A.F. School,” Winnipeg Tribune, 5 March 1941, page 11. “Dauphin Air School plans aerobatics,” Winnipeg Free Press, 10 April 1941, page 4. “Huggard named to head school,” Winnipeg Free Press, 17 March 1942, page 3. “Receive Wings at Dauphin,” Winnipeg Free Press, 21 March 1942, page 19. [Photo caption, ”Buy Victory Bonds”], Winnipeg Free Press, 23 October 1943, page 7. “New Commander takes over No. 10 S.F.T.S.” Winnipeg Free Press, 1 September 1944, page 7.